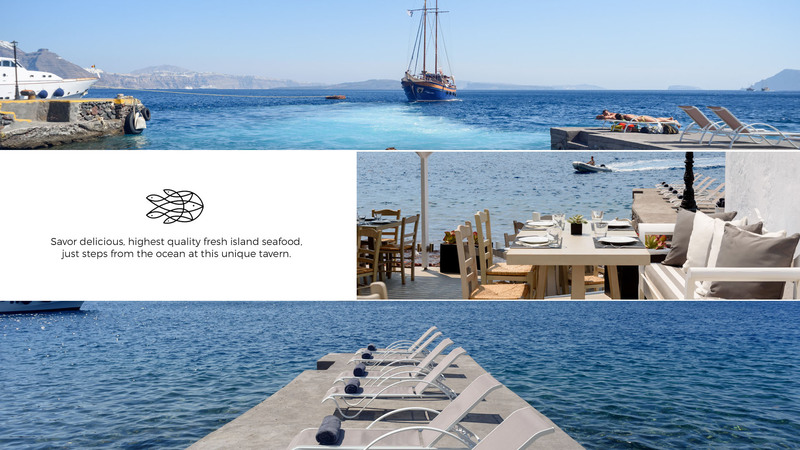 In a simple unpretentious and relaxed atmosphere and in absolute faith to Santorinian cuisine, Armeni will captivate you with its delectable dishes that are packed with the flavors of the sun and sea. The tranquil ambiance and exciting décor embraces guests in a convivial and lively setting. Clean lines and earthly hues make travelers feel perfectly at home and at ease, while the unique location with breathtaking views to the scintillating Aegean waters will live you at awe. Savor delicious, highest quality fresh island seafood, just steps from the ocean at this unique tavern.